Is there anything better than a nice dramatic sunset with the beach to yourself to unwind and reflect on what’s happened throughout the week. There might be but it certainly didn’t feel like it at the time. Cable Beach Reflections:: Cable Beach would have to be another firm favourite in places to visit. 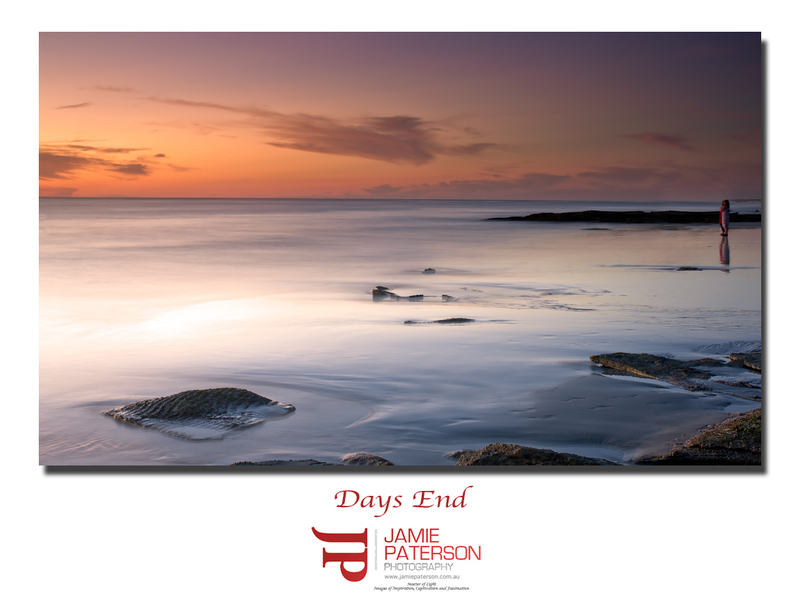 It is quite simply amazing to watch the end of the day on this beach. 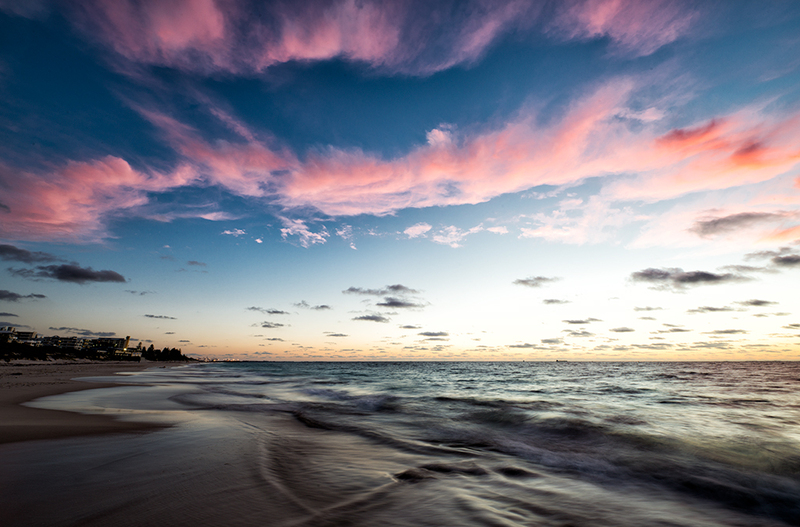 As the warm tropical sun sets it nearly always throws up a beautiful kaleidoscope of colours each and every evening. 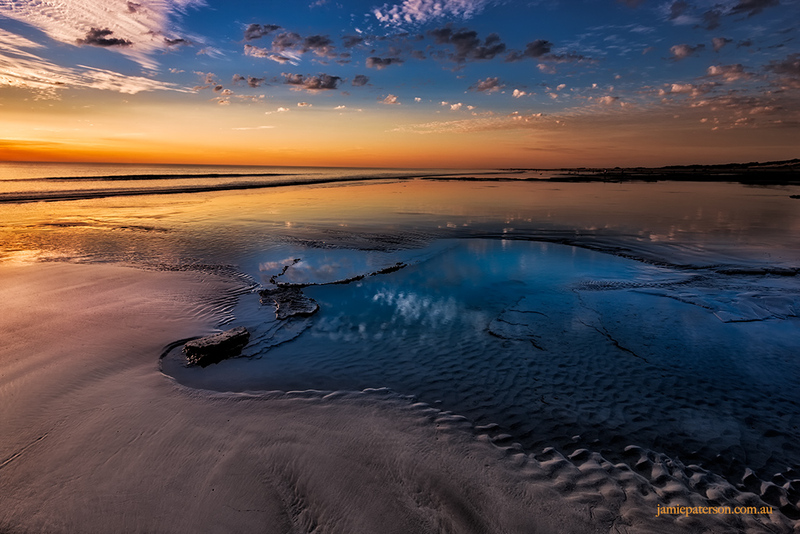 I was lucky enough on this evening to be walking along Cable Beach just relaxing when I saw the water the reflecting the clouds and I had to capture it. I’m glad that I did and working on it brings back great memories of that evening. Last Friday night I was fortunate enough to catch up with fellow photographers True North Mark, Peta- Anne North and Greg Ratajcak at North Cottesloe Beach. As always the conditions were fantastic. The sun cast a stunning golden glow over everything and stayed for ages as you can see in the photo. It was such a magical evening. 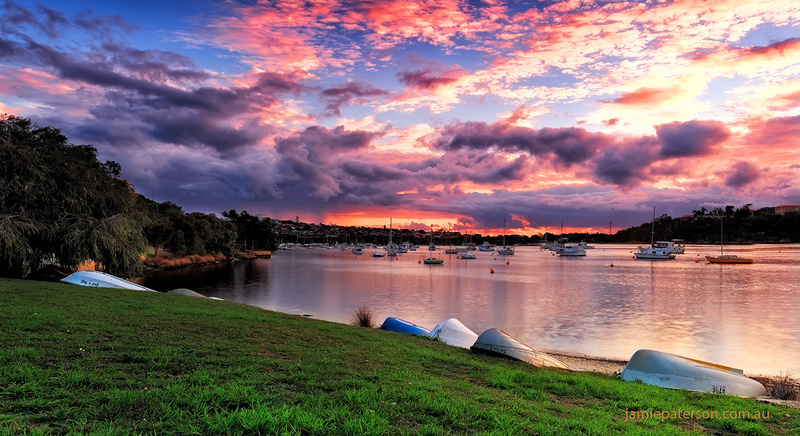 When was the last time you saw a sunset like this? I headed out on Friday evening to let Mother Nature show me what she’s got. Little did I know that less than 15M away were two other fantastic landscape photographers, True North Mark and Tristan Jud were just on the otherside of the reef shooting the same sunset. Its a small world. The best colour actually happened just before sunset, it seemed like the sun literally burst into a deep orange just before it ducked below the horizon. Sensational and a great way to end the day. Perth sunsets can be absolutely amazing especially during summer where they often an intense bright red and last for ages. This was one of those sunsets that looked like it was never going to eventuate into anything but then surprised me by being one of the best I’d seen in years. It just goes to show as always that if you aren’t there you won’t get the shot, so make sure you head out no matter what. I’m actually really surprised that no families were out on this evening. Normally on a evening like this I would expect to see families sitting on the grass with their fish and chips and the kids splashing in the water soaking up the last warm sunshine for the days. I guess no one else expected it to be an awesome evening either. Where is your favourite part of the river? I captured this shot as I was making my way out to capture the Milky Way with Paul Pichugin a few weeks ago. We were out on the Great Eastern Highway looking for a spot to stop and capture the sunset whilst on our travels out to our Milky Way destination. 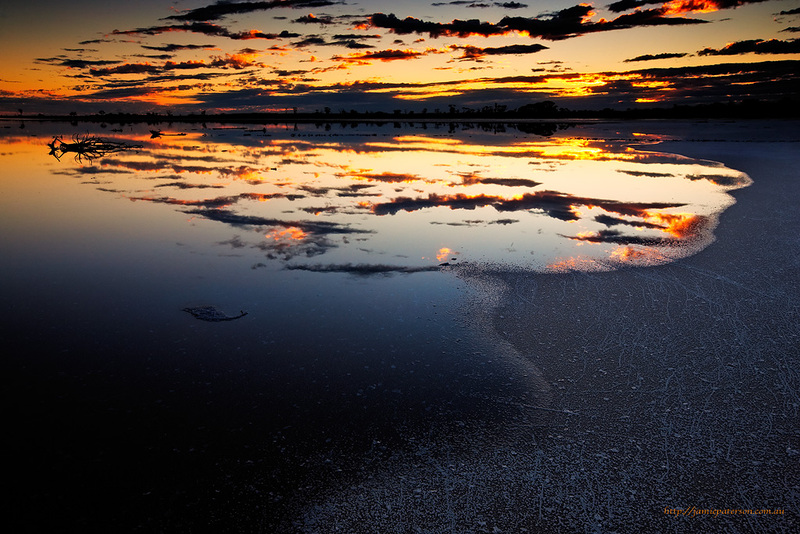 It looked like pretty slim pickings, but just before sunset, about 5mins before we managed to spot this salt lake. We grabbed our gear and ventured out into the middle of the lake and almost sunk knee deep into the mud a few times. Though it was hard work getting out there it was certainly worth the effort. Please remember to subscribe to the blog via the button on the right hand side. Its a new blog and you may not get alerted to new posts. 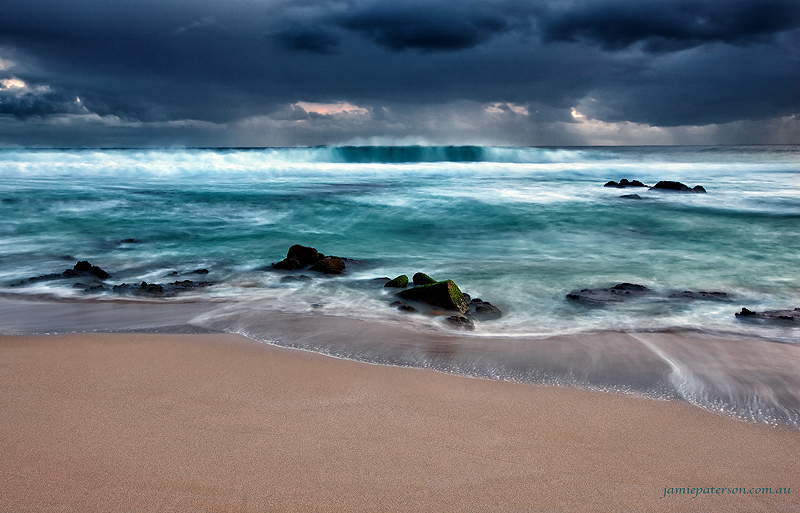 This shot was taken just down from a spot on Cape Naturaliste called Other Side of The Moon during Winter, hence the dramatic skies. Its a small walk to get to but very worth it. 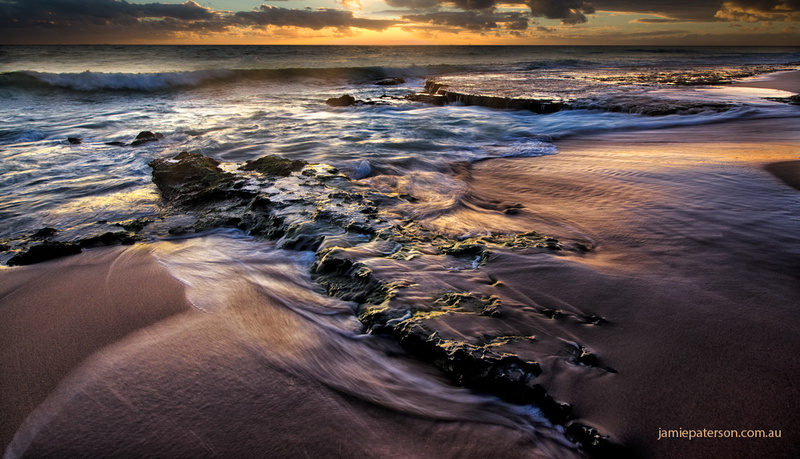 There are heaps of rock formations close to the waterline which makes for seascape photography paradise! Almost every time I’ve been its been deserted and I’ve had the whole place to myself even though I’ve quite often spent hours photographing the place at any one time. Get down there and check it out! You won’t be disappointed. On Sunday I was checking out the awesome clouds and thought there was no way that I could miss out on that action. 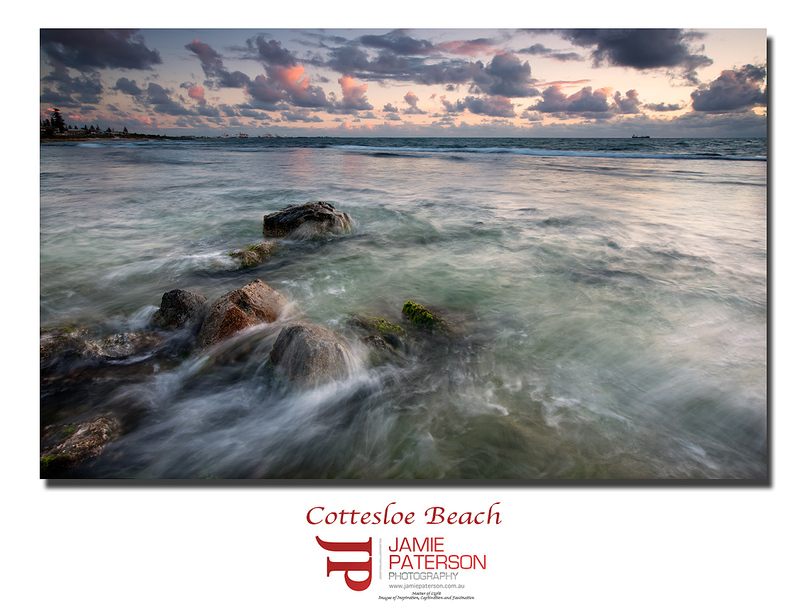 I headed out to Cottesloe Beach to see what sort of photos I could get. 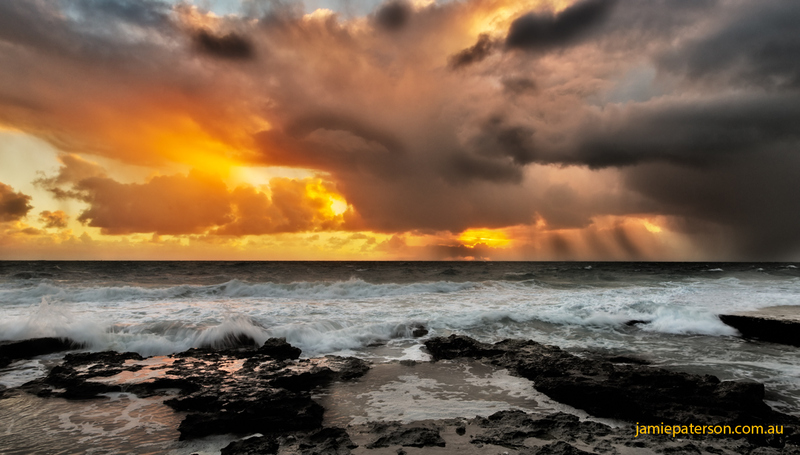 It became really evident as sunset was arriving that all the clouds above Cottesloe were very qucikly burning off, which was a real shame as the clouds 30mins previously were just amazing. Fortunately, I had checked out these rocks out about an hour before sunset and they had looked pretty cool, so I quickly scrambled down to them and started to snap away. In hindsight I’m actually pretty glad I was forced into this location as I’m really pleased with the way the shot turned out. Hopefully you guys do as well. Funnily enough this would have to be one of my most favourite photos of the year so far. Why? Well because even though its not an intense sunset I can really relate to it because of the two ladies standing there staring out at the sunset. I see in them the feelings that I would feel if I was standing there right now. I was going to remove me them, but because they are there its easier to relive the feelings of an amazing Broome sunset. Seeing them there invokes within me the feelings of contentment, amazement and joy. Would you have left them in the photo as well? I hope you guys enjoy the photo. I’d love to hear your comments on it. 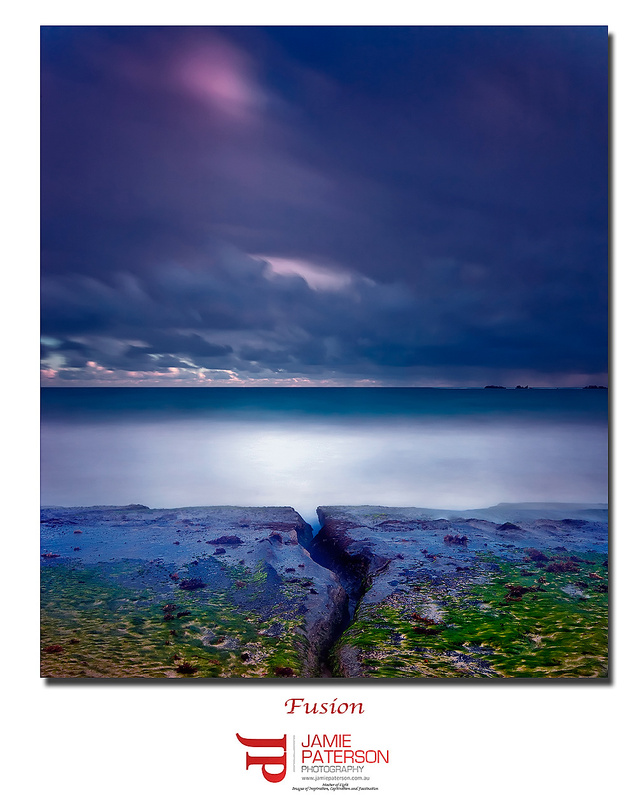 I love this photo, its like I was capturing the melting pot of the elements, sky, Earth and water. It was taken a couple of weeks back while strolling along Burns Beach. The waves were really cranking and it was raining heaps as well so I got soaked and was constantly having to wipe the filters clean of any spray and rain. A double whammy! As they say with perseverance comes reward so I’m glad I toughed it out in the end, you can always get dry but you can’t always get the same shot again.